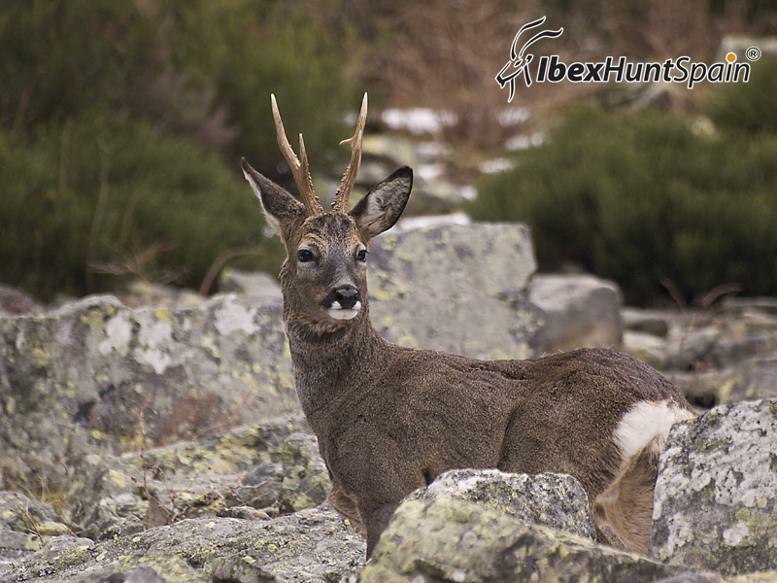 From April to September. 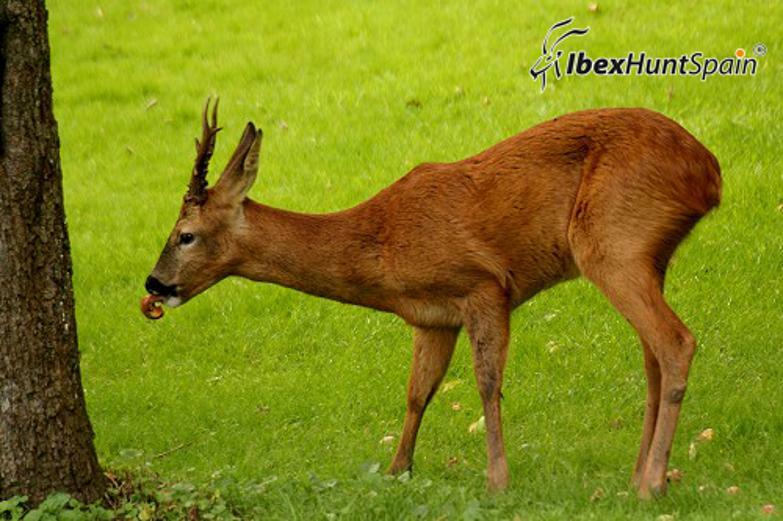 The best months is April and September. 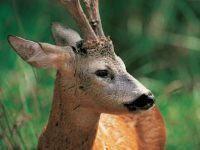 All national territory in wooded areas. 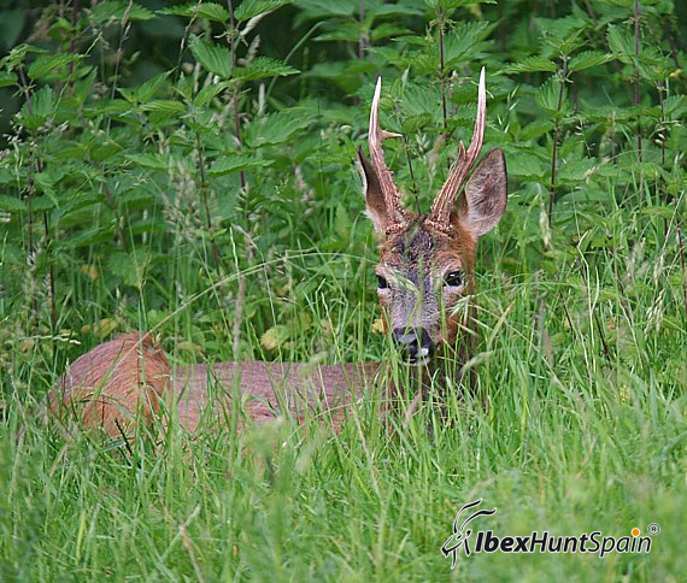 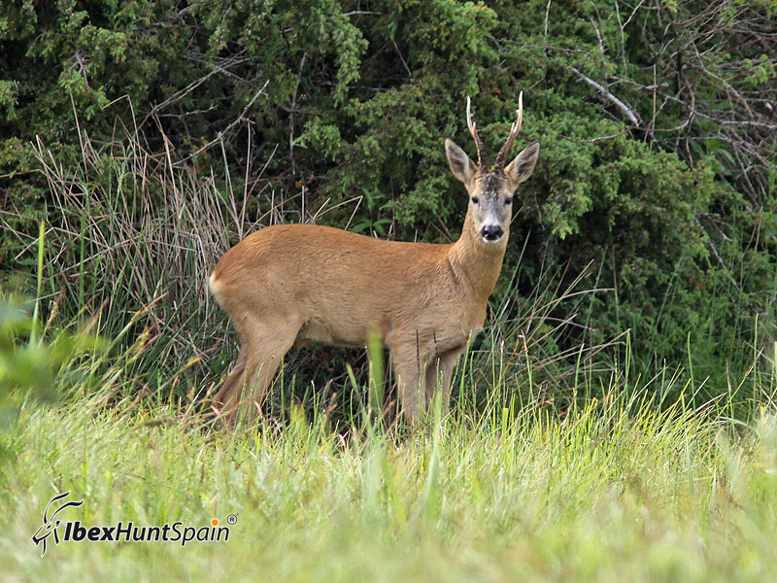 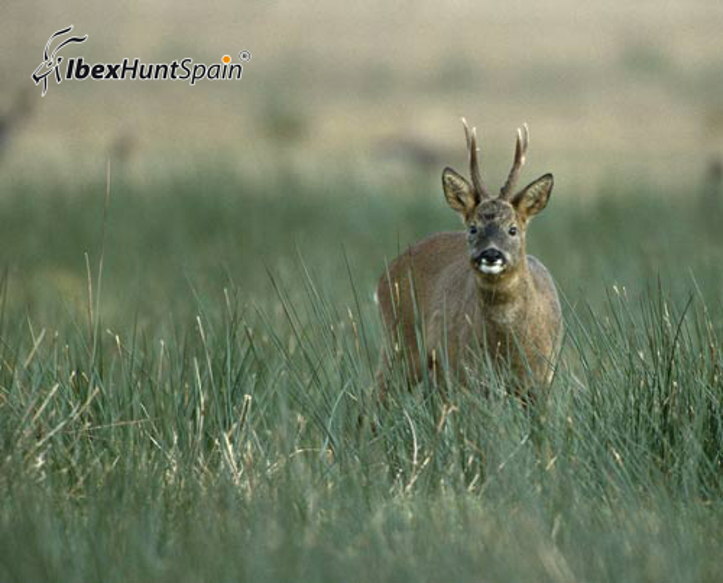 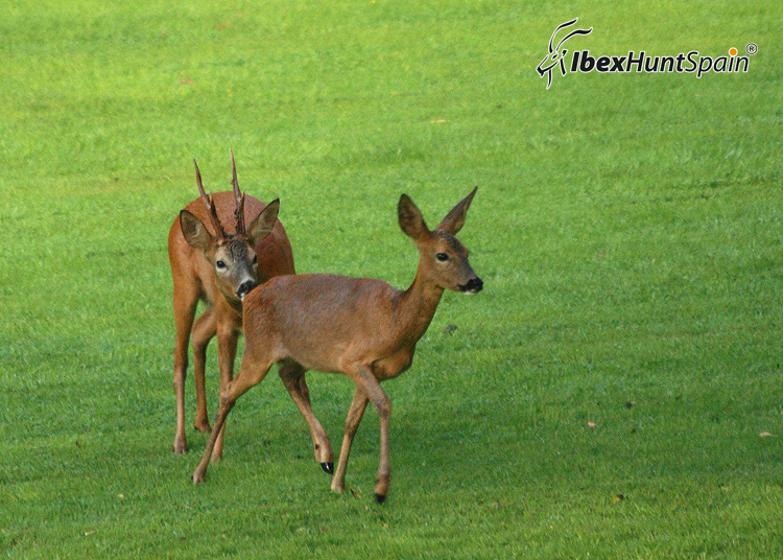 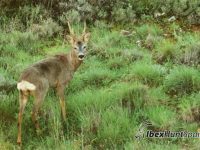 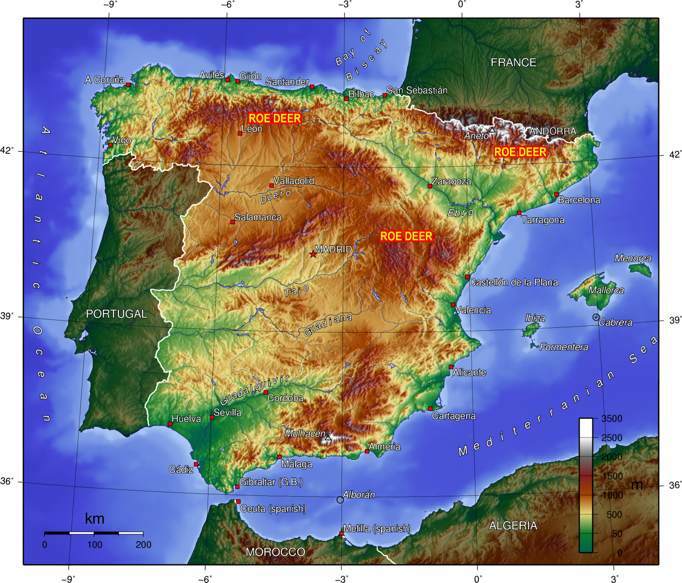 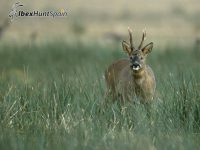 The hunting area is at least 3 hours from Barcelona airport and 5 hours from Madrid airport. 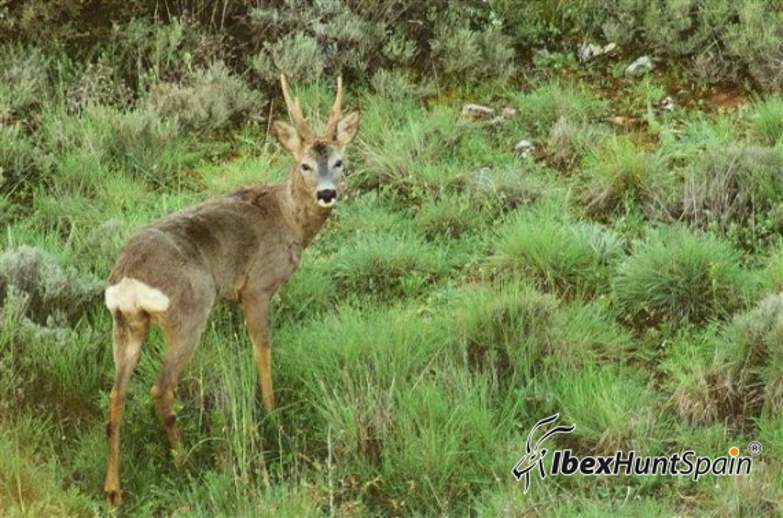 Native in the Mediterranean region and conifer forests. 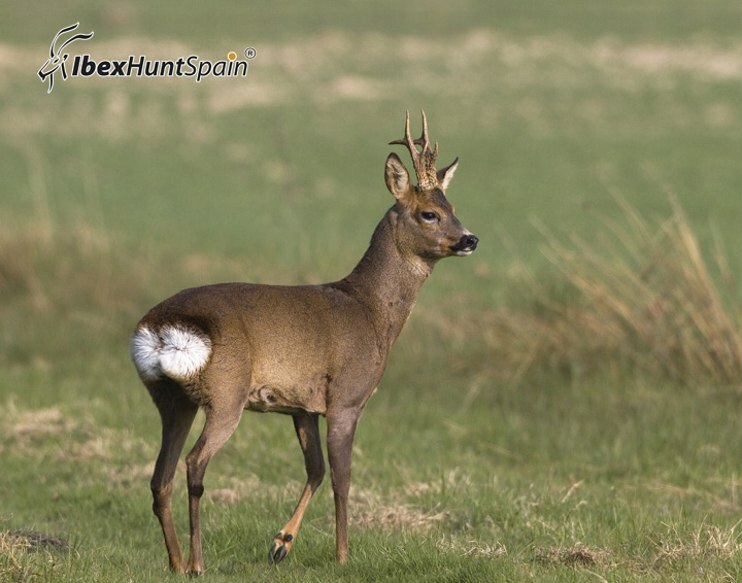 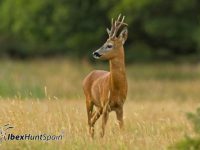 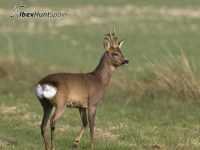 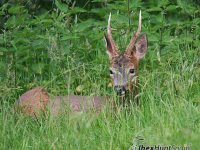 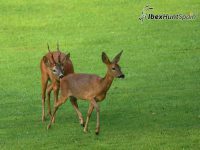 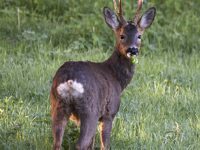 The Roe Deer is a relatively small deer, with a body length of 3.1–4.4 ft, a shoulder height of 2.1–2.5 ft, and a weight of 33–66 lb. 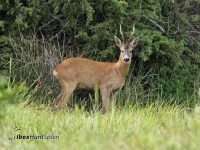 It has rather short, erect antlers and a reddish body with a grey face. 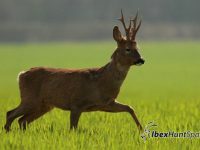 Its hide is golden red in summer, darkening to brown or even black in winter, with lighter undersides and a white rump patch; the tail is very short 0.8–1.2 in, and barely visible. 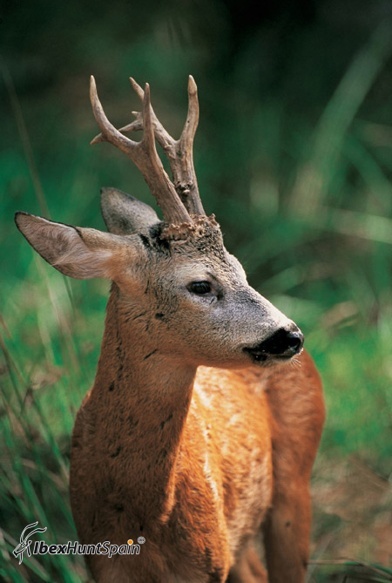 Only the males have antlers. 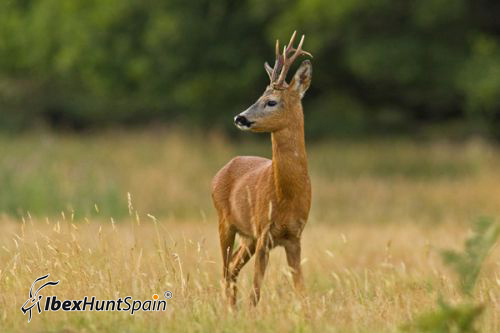 The first and second set of antlers are unbranched and short or 2.0–4.7 in, while older bucks in good conditions develop antlers up to 8–10 in long with two or three, rarely even four, points. 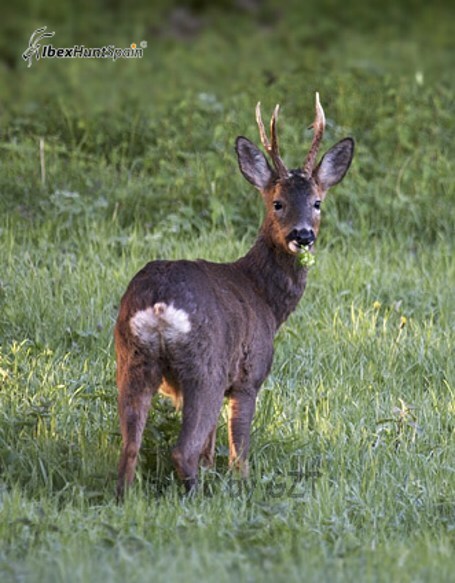 When the male’s antlers begin to regrow, they are covered in a thin layer of velvet-like fur which disappears later on after the hair’s blood supply is lost. 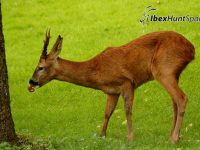 Males may speed up the process by rubbing their antlers on trees, so that their antlers are hard and stiff for the duels during the mating season. 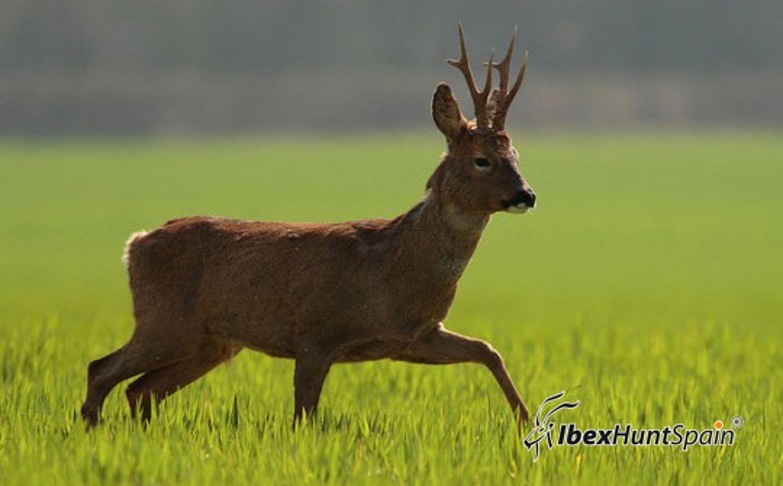 Unlike most cervids.